This is my fifth James Krenov book and the last of five he wrote before his passing. My version is soft-bound, but the quality is still quite high. After 13 years, the spine and binding seems to be holding up very well. The paper is a good thickness, the text is easy to read and sans serif. Most importantly, the photos are high quality and matte finished. They are well-framed and properly lit to show you all of the grain detail as well as the form. All of this makes for a quality publication. In truth, if you have not yet picked up any of the James Krenov books to read, this might very well be the best one to start off with! It is lighter on discussion than the other books, and heavier on pictures, with the main focus being to share with you some of the works completed by him and his students at the College of the Redwoods. His goal is, “… to bring this refined work to the attention of the public.” He wants to connect with the kind of woodworker who strives for a greater degree of success, and inspire them to do just that. 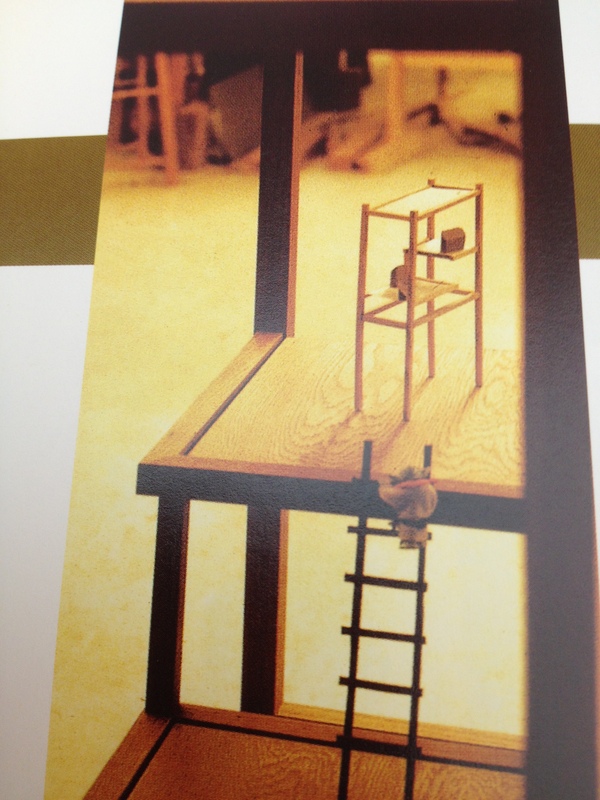 The book is broken down into five sections: Workmanship, Teaching, Wood, Creativity, and Fingerprints. The first section is a discussion about the quest for quality. In covering this topic, Mr. Krenov gives us a pretty good synopsis of his life to-date and explains his current role in the school. With references to not buying freshly cut wood anymore or not working in the shop with the students as much as he used to, it is quite evident he is aware of, and has come to terms with, his mortality. The second section begins with greater detail about the College of the Redwoods, going into the reasons why he started there, though he was propositioned by several private schools, and giving us a rundown of how the program works. 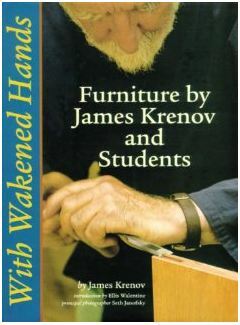 If you focus on any text in this book, please make it the second part of Section Two, where he discusses how to get the most joy and satisfaction out of woodworking. In the section on Wood, Mr. Krenov highlights the absolute importance of not only picking the right wood for your project, but in understanding that wood and its properties in order to make an intimate connection between you and the project. But what should you really take from this section? One thing Mr. Krenov hopes all students of the College of the Redwoods leaves with is the ability to follow the creative process, from beginning to end, with their work. This is covered in the fourth section, Creativity. Learning how to take an idea from sketch to mock-up to finished piece, dealing with mistakes along the way, is an important part of your work. Finally, in the last part of the book, he offers his insight on leaving fingerprints in your work, doing things to make it your own. This includes everything from wood selection to design, surface texture to joinery, hardware to finish. He’s the first person I turn to when I feel like I’ve lost my focus and need to regain it. Usually I just pick one of them up and open it to a random page and start reading, unless I have a specific challenge I’m trying to overcome. There are definitely some good things in this book; it isn’t just a rehash of anything he’s already written. There is one other James Krenov book out there. It is supposed to be more of a school text book, though, and it’s called Teacher. Good review. I assume the book is out of print and I’ll have to search to get a copy? Yeah, unfortunately, it is currently out of print. But I always check with the standards – Alibris, Abe’s Books, Amazon… One of them generally has a pretty good bargain on it. Mine came from Alibris, but was shipped from a Goodwill store in Seattle. I think I got it for less than $20, though.